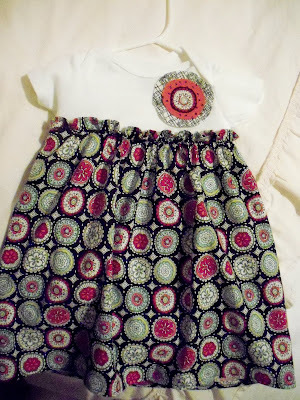 I just finished sewing my first onesie dress tonight, and I can't wait for Lydia Grace to try it on! Update: Years after making this one, I finally felt like I had perfected the process. 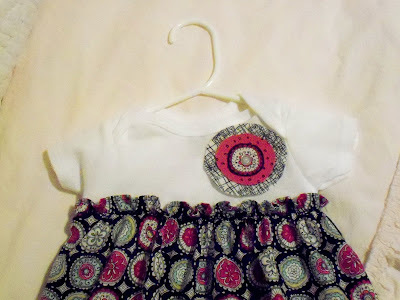 Here is my tutorial for a onesie dress. This is absolutley adorable, I bet she will super cute in this. Awesome job!! !